Older Single Mum: My Darling Six Year Old. My Darling Six Year Old. His last day as a Five Year Old. Today is the last day that you are five. It is such a milestone that it breaks my heart, but heals it and makes it swell all at the same time. You are an extraordinary little boy and we love you with everything we have, your beautiful brother and I.
I miss you now you are at school, but oh my, you have thrived. You read and write confidently and well and make me so proud. Sometimes, you look so grown up you take me completely by surprise. But that's you all over - full of them! You were a surprise when you came and you have surprised and delighted everyone who knows you with your infectious enthusiasm for every single little thing since. You act like you waited twenty years to come and now you're here and you can hardly believe it! You are excited and happy and make us all laugh and we have finally found your thing - the 'thing' I've known you needed before it actually presented itself. It's not Sport, despite your ability and like we suspected it might be, but Drama. You were the star of your Nativity show, bringing deserving comments about your dancing, strong singing and natural performing. You amazed us all and, as I overheard peoples' remarks about 'that little boy at the front' and watched those in-born jazz hands for the very first time, it hit me. Of course! And my joy knew no bounds. You are teaching me that. We signed you up for classes at school and your teacher asked how long you'd been doing ballet, when you've never been in your life! You've just got it kid and you've got it in spades. That you still want to wear your superhero suits or costumes rather than common clothes at every opportunity says so much about you. You insist it's because they are more comfortable than jeans, but, really, it's who you are. You are a superhero. I think you tried to come before we finally managed it, but I kept losing you. It just feels that way when I lie with you at night, holding you - when we are peaceful. And I am grateful that you kept trying and that you came, that you are here and I have this privilege of knowing you and loving you. You are a gift, always have been, are fearless and refreshing and adorable. And will be six years old tomorrow - the best six years of my life, thank you. They have been exhausting and exhilarating in equal measure! May you remain bouncy, cheeky and charming. May you (please) tease you brother less mercilessly. 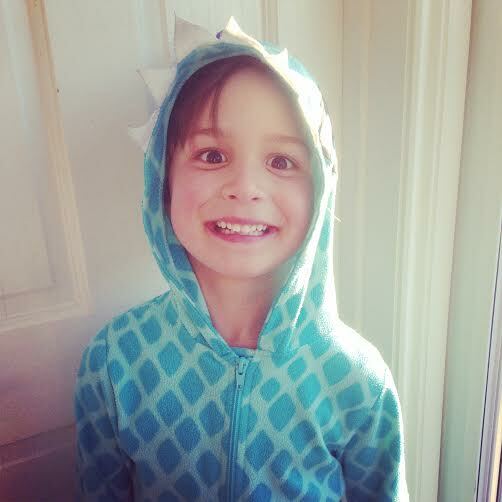 May you continue to fill me with wonder and, most importantly, at six years old, still be you. A lovely post about your six year old Anya. He will treasure this message all of his days. Now stop making me cry. Beautiful post. Do you do this every year? It would be so nice to look back on? I get scared every time my children have another birthday, I love to see them develop and grow but growing up? I don't really want them to do that! Belated birthday wishes to your gorgeous six-year-old son. I'm happy that he's found an outlet for all that natural talent - I hope that he continues to enjoy this as he grows up. You're so right to make the most of your sons at every age - before you know it they'll be all grown up. What a gorgeous post and so lovely to read on my youngest's 6th birthday - and we celebrated as Superheroes too. I love the emotion of love, proudness and happiness that shines through in this post. Happy Belated birthday! I've been looking forward to reading this post. 6 seems to be even more feisty than 5, but...silver lining is as you say, they seem to find their 'thing' and their place in the world a bit more, and be slightly more open to negotiation...have a great year! *ducks* Thank you Penny, I think! Ps.... brilliant that he has such a natural flair for drama and dance. Such a beautiful letter! Can you imagine him reading it when he will be 16?